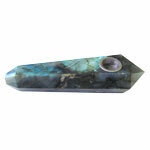 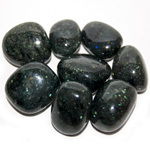 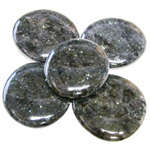 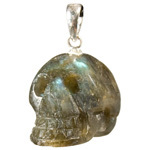 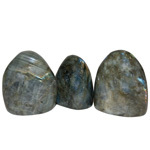 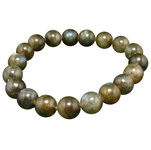 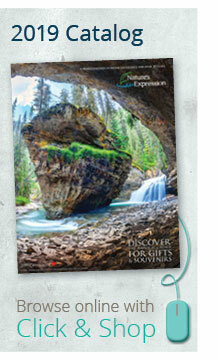 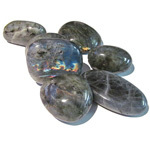 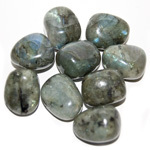 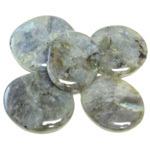 Browse our collection of labradorite for use in home decor, gift items, garden accents, jewellery and souvenirs. 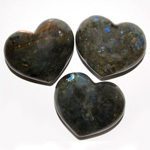 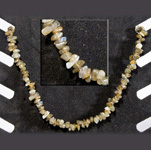 Labradorite, which is named after a major discovery in Labrador, is found in volcanic deposits, also known as spectrolite. 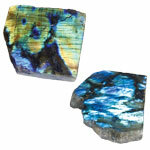 The attractive blue and green iridescence makes it suitable in jewellery and interestingly, as a glaze for ceramics. 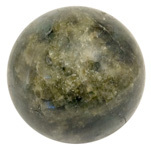 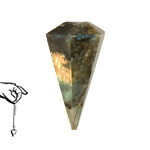 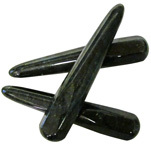 As a healing stone, it is used to assist in accessing the subconscious, banishing fears and insecurities, and strengthening faith in the self and trust in the universe.